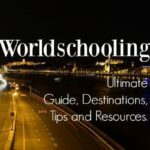 You are here: Home / Homeschool and Travel / What is Worldschooling? Have you heard about worldschooling ( AKA world schooling) ? All the cool parents are doing it, it’s the latest buzz word in alternative education. It’s taking your kids on holiday to learn about other countries, right? 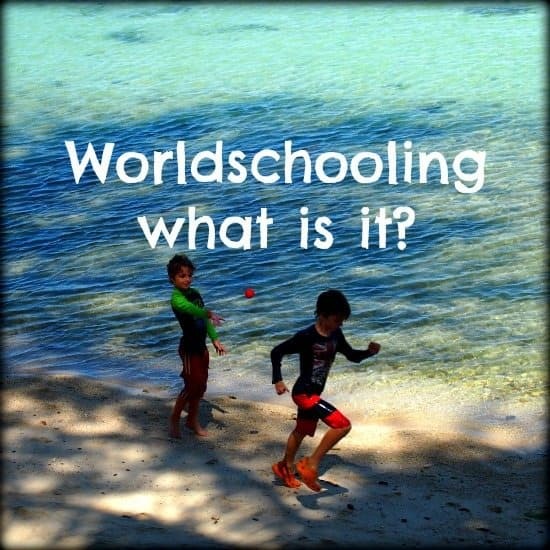 In this post we try to answer that question, what is worldschooling ? It’s a lifestyle and can be a whole-life commitment. It’s not something you do on weekends or school holidays, there is no timetable. You do it all-day, every-day. It is life. Worldschooling is a lifestyle choice, a wonderful one, but one you can try for a short time. Try it and you may never go back. 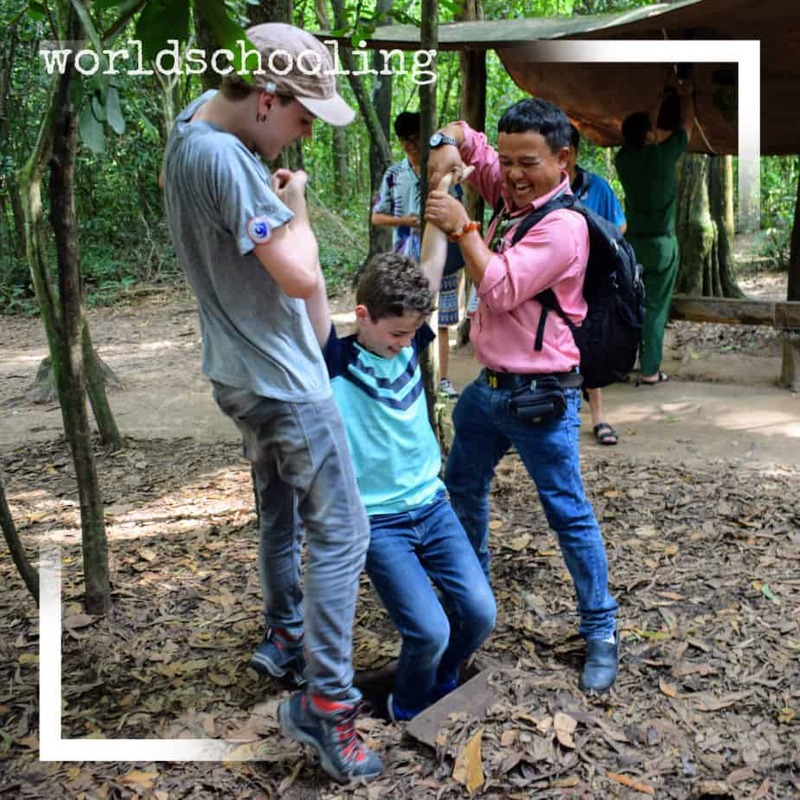 Worldschooling is providing and finding education from the real world. It includes experiences, places and people from all over the globe. The more you can travel, the more destinations and the greater variety of cultures, climates, histories and societies you can explore, the more that education grows. 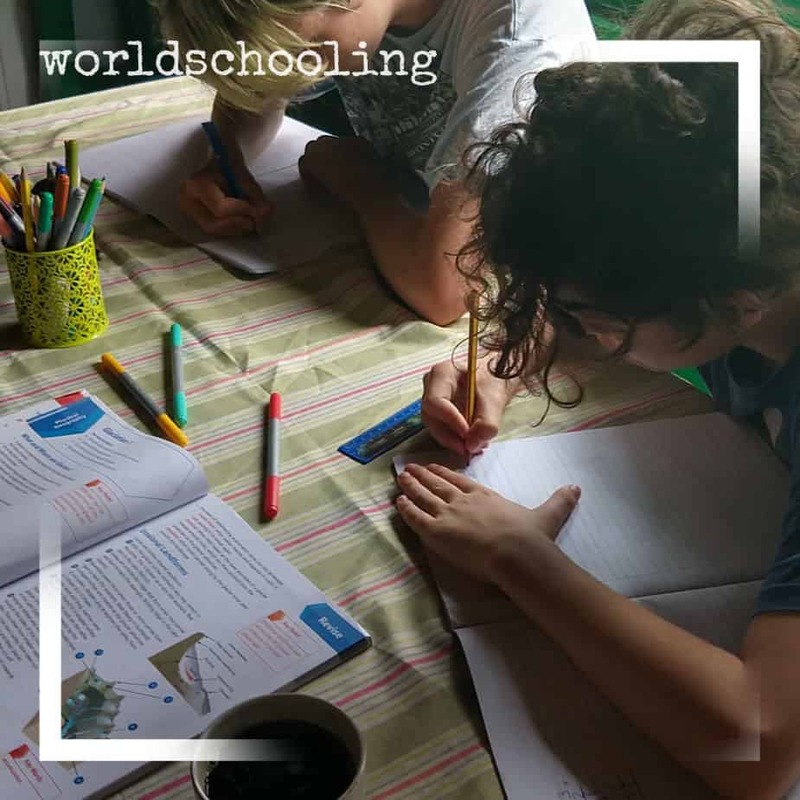 Worldschooling removes teachers, classrooms, schools and set curriculums, it opens doors, opportunities and possibilities. It gives freedom in education and life. 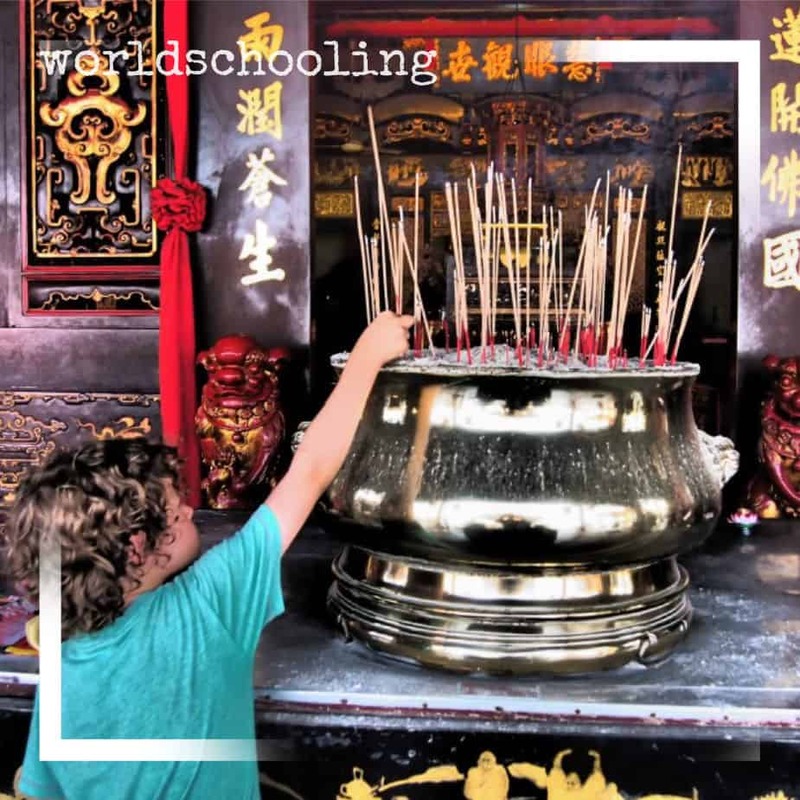 Worldschooling is born through a love of travel and a love of learning about and from the world. There are many versions of worldschooling, some academic, some less so. There is a thriving global worldschooling community and numbers of worldschooling families grow daily. 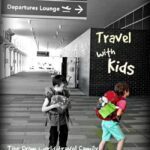 Back in 2012 we decided that travelling with the kids would be a great lifestyle choice for our family and a phenomenal way for the boys to get a better education. I invented a term travelschooling. 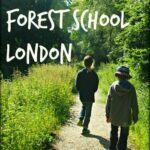 The boys were already out of school and we were very happy with that choice, but we could see that their environment was limiting their learning. They needed more diversity and to see, touch, do and experience it all. Not much further down the road I discovered that somebody had already named what we were doing as worldschooling and that it was actually a fairly commonly used term. So travelschooling was ditched and I started embracing worldschooling. These days everyone is jumping on the band-wagon and I don’t like the dilution of the original idea. Worldschoolers do not go to school, sorry, non negotiable you can’t be a worldschooler only on weekends. If kids go to school they are main-stream educated, nothing different there at all, how can there be? They will be tied to a timetable and a curriculum with insufficient time to exprience their surroundings and follow edicational paths of their own choosing. Some worldschooling families do put their kids in school as they travel. It’s their choice and you see it more often where parents want full language immersion and for the child to become bi-lingual. That said, every homeschooler is different, every unschooler is different, every child and family is different. there is no one fixed right way to homeschool or worldschool and that is absolutely fine. Education should never be one-size-fits-all and that is the massive elephant in the room with the standard education system. Busy worldschooling in Vietnam. Here a tour of Cu Chi tunnels, a guide with the information and a Vietnamese perspective on war history. Of course it’s loads of fun, but you bet it’s worldschooling! Not everyone is free to take up a digital nomadic family lifestyle but what you can do is try worldschooling. Give it a go, take your kids on a voyage of discovery and freedom on a family gap year. Even 1 year, a taste of worldscholing, could be very good for their world outlook as you strew the world before them. You may find you never want to put them back in school again. Worldschooling can be unschooling or it can be homeschooling, it really just depends on what you want to call it. We call it homeschooling, others may look at us and call us unschoolers. We’re certainly not unschoolers because we are not fully child led. Now, after many years, we do some unschooling, some homeschooling and a whole heap of worldschooling. 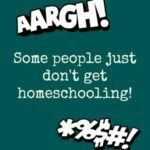 I think a lot of homeschoolers are that way. Obviously methods of providing, facilitating and enhancing a child’s education change with need over time, age, environment and interests. Education comes is seasons. In Australia we tend to use homeschooling as an umbrella term to cover all methodologies, in the UK they prefer to use home education, rejecting the “schooling” term altogether. I usually stick with the term homeschooling, it’s simpler. Worldschooling in Malaysia. Diverse religions and cultures. Here a Chinese temple clearly demonstrated how shipping and the spice trade shaped this part of the world. A truly tolerant multi-cultural society is also something to learn from. We do our own thing, ignore the school system, and the kids get a great education. But that education has absolutely zero involvement with school. That’s important and a whole-life commitment for however many years family and children choose that path. We are full-time, full-life homeschoolers or worldschoolers and that education is an active process, one we put a lot of effort into. School-at-Home is doing what they do in school, at home. I don’t personally know anybody who does this. I think this is what homeschooling is taken to mean in the UK and why they prefer to call themselves home educators.These children will probably be fitting back into the school system at some point, maybe taking the usual exams. Many people believe that home educated children are “taught” by a parent. In reality, this rarely happens. Unschooling is a 1970s term John Holt used, he was never happy with the term, but it stuck. He preferred the term “life”. Unschooling involves a complete rejection of the school system and trust in the children to learn through their own interests and curiosity at whatever pace they prefer.Unschooling is fully child led learning. Parents and other human beings are involved as key facilitators of that learning. You can see Hannah’s post on “What is Unschooling” here. Radical Unschooling takes the unschooling philosophy even further to include all aspects of life. Sandra Dodd came up with this term and it totally rejects any distinction between educational and non educational activities. Radical unschooling removes limits and allows children to make their own choices in all areas of life. I’m no expert, if you’d like to know more try Sandra Dodd, or Dayna Martin, prominent radical unschoolers. Worldschooling is more difficult to define. Some class it as a type of unschooling, some children are world-schooled as they’ve been home-schooled. When I look back at my first year, 2 years, of being a home educator, it really wasn’t that great. Luckily those first 2 years were before we started travelling and were highly regulated by the government. We found our way through trial and error and were able to hit the road with confidence. A year on the road probably isn’t long enough to find your educational groove which is one of the reasons I tell parents taking kids on a short trip to just do nothing about “school”. Don’t spoil the experience, just enjoy it and learn naturally. To me, worldschooling is home education of any sort with a good measure of travel and active learning through travel thrown in. The partners in the process, the educational facilitator ( parent) and the student have to seek out the learning in the location, it is by no means a passive absorption process. I don’t want my kids in school. I want them to learn at source when they are ready or interested. I want them to know that they can teach themselves just about anything because times have moved on and the internet can replace a teacher. We parents have to facilitate education and totally shoulder the responsibility of our child’s education. It’s a big responsibility that we home-educating parents take on, and we need to be 100% committed to it. It’s not something to mess about with. Is it Possible to Worldschool and Not Travel? If you take the simplest definition of worldschooling that I’ve found, then of course you don’t need to travel. Worldschooling is learning from the world, we are all in the world, just some of us see more of it than others. That sounds more like a definition of unschooling than worldschooling, I think. His definition seems to take travel out of the worldschooling scenario completely, it certainly removes school. I guess it could work, but it would be a narrow form of worldschooling to not see the world. What Does Worldschooling Look Like? Wherever we worldschoolers are in the world we actively seek out the learning. It involves visiting temples, museums, markets, hotels, railway stations and playgrounds. It involves meeting people from every background, faith, nationality, age and race. It involves the facilitator, doing research and having knowledge and ideas to share with the kids. We won’t have every answer, no, nor would a teacher, but we do have Google. Finding your own information sticks better than being told and parent and child learning together is an exciting way to do things. Worldschoolong Kids do need to be able to write and do some written maths and so on. Yes of course we do that too, sometimes. On this week we weren’t travelling, we were sitting tight in Romania through the snows of winter. So as well as learning about a unique European culture, subsistence farming, climate, meteorology, learning to ski, chop wood and build fires, positive and negative numbers and so much more, we also broke out the books. Here we were working on glaciation, following up on a visit to Scotland. Part from Mum’s head, part from YouTube, part from a GCSE UK curriculum book. This is how we roll, other worldschoolers wouldn’t do this at all. For us the worldschooling always starts before we reach a destination. We all, together, find out as much about our next country or region as we can before we get on the plane. Before heading to Scotland and the UK we spent some time watching YouTube videos and finding out about, for instance, Hadrian’s Wall. If the kids didn’t know what that wall was before we got there they’d probably be totally disinterested. Now most things we see will have some sort of “wow” factor. After visiting we’ll try and wrap things up and find out more. The destinations always bring up more questions. I read, I read a lot about our destinations and always have, about their history, culture, beliefs and traditions and I try to take kids to places that will introduce those ideas and spark an interest. I work very hard at worldschooling. The regular home education is still there too, when I first took responsibility for educating my children I was, like most new homeschooling parents, very school-at-home. I thought that was what you had to do because I had no experience of any other way of learning. Every day we became more and more unschool as I saw how the learning was actually happening ( this is called de-schooling). Before we left Australia I was happy to call myself an unschooler for a short period and totally embraced the term and the philosophy. We were, of course, worldschooling in our tropical home in Far North Queensland with the reef and the rainforest as a playground and classroom for all of us. These days I rarely use the term unschooling at all. In actual fact, I rarely use the term worldschooling. We are just getting an education. Education through adventure. Over time, elements of school-at-home have crept back in because they needed to. When we aren’t actively travelling we use workbooks and online learning programs. One item in our educational arsenal was the Minecraft Homeschool courses and the boys got a lot out of those as tweens. My worldschooling teenager progressed to some Open University courses but teenaged kids become more and more self-directed as time passes by. Kids’ audio guides, tours and talks slot into life easily on the road and becoming more important as the kids get older. We always did some written maths and English and sometimes a science work-book as a sort of check list of topics. I also own curriculum books to remind myself and to see if my 10-year-old does actually know what he would be expected to know if he were in school in the UK. This is, after all, a big experiment and I need to monitor the results. If he didn’t, I would be failing him, everyone needs to know some basics. He does, he has the same knowledge base as any child leaving a UK junior school should have. He hasn’t been taught it, he’s just picked it up. I say should, because of course, many normally educated children won’t. Too many slip through the cracks and come out of school functionally illiterate. These workbooks are needed reassurance for me and a sneaky way to get him writing and spelling, he enjoys science like his mum and writing not so much. He’s cool with it and we make it fun. At the same time we’re still worldschooling, homeschooling and sometimes unschooling, we’re learning from Australia, the USA, Asia, London or wherever we happen to be. Learning from museums, zoos, history, diverse people, geography, lifestyles, food and culture. Update: This post was originally written a few years ago, want to skip forward to homeschooling a 12 year old? Maybe you’d like to know more about the homeschooling resources we use on the road, if so, click through. My kids are teens now so we’re pretty much done with this phase. It worked. As they get older more and more of their learning comes from their own reading and online explorations. They are happy, they read, they are technologically competent, they know more than me on many subjects, they can do maths, the elder one earns an income. They’re the proof that this works. They continue to be worldschooled but now, as teens, we keep them off the internet. Their lives are their own and we respect their privacy. I’ve never wanted them to go to college or university, but that option is still there should they choose it, as it is for all homeschooled kids. I got interested in the subject of world schooling after my sister told me she wasn’t taking her kid to school. Naturally, I feel concerned about my niece’s education and her future. I do realize it’s not reasonable to make the school your whole world. On the other hand, I can’t say the world along with parents, the Internet, and other facilitators can completely substitute a regular school. I agree the world schooling provides a kid with more freedom to develop interest and curiosity, study at one’s own pace, and discover his or her talents. But at the same time, home education burdens kids with greater responsibility for their learning. Parents normally have their own work to do, rather than facilitating, monitoring and assessing the learning progress, which is teachers’ responsibility at regular schools. Therefore, I support the idea of world schooling, but I still consider a kid should appear at school for testing on the regular basis. In other words, a home-educated student is free to choose when to study—in the morning/afternoon/evening, on weekdays/weekends, but there should be some deadlines set. So it’s not about 100% own pace, but a kind of a compromise between the home and school education, total freedom and dependence. That’s how I see it. What would the purpose of this testing by the school be? You are assuming that the school’s curriculum represents the perfect or only set of information a child must memorise before the age of 16. What if the child and parent would prefer a different set of information than one set out by a particular government? Trust me, kids educated outside school have no burden whatsoever. They have freedom to be kids. But of course, no 2 families will do it the same way and I can’t comment on anyone else’s methods or abilities. Thanks for the wide variety of interpretations in this post Alyson. We’re 17 months into our worldschooling slow traveling journey but as our little one is only 4.5 right now part of me feels the real tests are still to come. At the same time, we’d committed to home education before she was born so despite ‘play’ still being our number one priority for her, we’ve been actively facilitating her learning since birth and are more than happy with her development. We’re looking forward to the uncertaintaties of the road ahead and the longer we’re on the road, and the more worldschooling families we meet, the more comfortable we feel about the choices we’re making for all our family’s development. This is a ridiculous concept and is the 2018 version of a counterculture hippie. You are setting your kids up for disaster. Do you think the technical and conceptual applications of the internet were bred by a kid sightseeing? What about structural engineering, medicine, real pillars in this world, not history and cultural enthusiasts. The latter experiences round out your world outside of true hard skills, but those soft skills will not get one by. Not to mention the social depravities of your children not being grounded with roots and friends that they can grow with and cherish for years. The constant jumping around with no base creates a nomad society. Never playing a team sport, never being able to recall childhood memories with someone you know, kissing your first girl after courting, partying, the list goes on and on. Every ones has a place in this world and everyone plays their role, but if this concept goes beyond trend and minute proportion of society, we are in trouble. It won’t though b/c people are smarter than that and understand the evolution of society was created in structured environments teaching real skills with proven methods, not riding horseback in the ocean. Those videos you want to watch to learn, the people creating them are formally trained LOL. Math, reading and comprehension cannot be taught on the internet. Give yourself a shake and be a responsible parent. YAY!! My first negative comment out of…maybe 2 million hits a year. Go you, you’re awesome, thanks! And did you really just say “courting” LOL. That gives your age away. This is their place. Everything can learned at anytime, any age. I failed school, did not attend 3/4 years of high school. I now run 3 successful businesses with 3 children under 6. It’s amazing what discipline, determination and passion can do for someone. PMSL, do you think they were bred by a child at school? You think the innovators of the world learnt that from a standardised curriculum? Sounds like you need to step in to the real world. Hi! 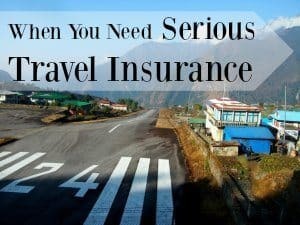 We have just returned after one full year of travel and we…. took our kids out of school for the whole year! (gasp) Guess what?? They are now back at school, they have more confidence than when we left, they are ahead of their classmates in maths and literacy and at the expected level for all other areas. Traveling, being nomadic, homeschool/worldschool/unschool – it all works… Different people choose different paths. There is no RIGHT way to be educated. And just to say this loud and clear Mr Real World – before we embarked on our travels our Psychologist (yes she trained at University…) said that what children need is stability and love…. AND that stability does not come from being in one house/suburb/country… it comes from Us as parents. What better life can we give our children than one of wonder and joy to explore this incredible world. Learning things by actually being there is so much better than text books and blackboards, as far as we are concerned… AND we will do it again.. soon… I hope more people realize that it is possible and that it is so much better than using an antiquated system that was designed during the industrial revolution to produce people to work on the factory floor. I want my kids to imagine and create “Imagination is more important than knowledge” – Albert Einstein!!! (we saw where he lived with his first wife in Serbia) REAL WORLD SCHOOLING!! I love that you had such a great result, and an enjoyable year spending time as a family. But I think what old Real World is talking about is those of us who opt out of the school system fully, as we have. The homeschoolers who add to that educational model but throwing in a huge side order of travel. It most certainly enriches and extends the child’s learning environment. His points are all pretty ridiculous and factually innacurate which is why I really couldn’t be bothered to respond/ But I started writing a counter-response post yesterday. Watch this space 😉 It’s gonna be good. I once met someone who had spent his childhood travelling with his parents , he was homeschooled on his travels. I was very impressed by him , his intelligence was obvious , he was non judgmental and very empathetic and a very larger than life happy confident persona. He was only 26 years hold and now in the uk co -running a prosperous business. Where I was originally waiting to backpack on my own when my last child had grown up, I am now realising that rather than just homeschooling at home, I can do this travelling with my children and enrich their lives with experiences at same time and let them understand there is far more to life than following social expectations . I will show there a choices and they are free to make them . I know this is a bit older post, but I’m just curious; have you thought of involving your kid(s) in learning about the place you are going by doing what you do with google? I think that research is one of the best things to learn for anyone! Good article, and site! I will try to read more of your content when I get a chance. Personal opinion here, I don’t really think many kids would benefit from worldschooling… Do not get me wrong, I don’t agree with public education and structured learning, I also think that experiencing other countries and cultures is also really important–not in a “tourist buying things from the giftshops and staying in their resort hotel” way, I mean actual backpacking, living with the host family for a few months, eating their food, learning their language, celebrating their holidays. That’s really great, especially when the child is old enough to appreciate it. However, I also don’t think a child would benefit being in a new country every year or six months, and having no home-base . Most kids appreciate stability, familiarity, consistency. Traveling is usually for the “leaving the nest” phase. There are adult kids from military families, or like me who switched schools and houses more times than they can count, who absolutely crave roots, long-term friends, community who’ve grown up with us, and not always having to constantly readjust to a strange world and new people. We crave having a home we can come back to, but usually that “home” is scattered, and since we spent such less time there the people we met have usually been lost, and forgotten us. It seems you would have these problems with ‘world-schooling’, and even more so, would be having double the stress of learning a new language, new customs, and new culture. After that, when your kids want to develop actual practical skills in their home country (or whatever country) to pursue education and a career, how is that established? Unschoolers at times will pursue courses in community colleges, become part of clubs, or projects, and build their educational portfolio there, but I wonder what world-schoolers will have to offer besides perhaps learning different languages, and how much harder it would be to be part of projects, or activities when you’re learning a new language and the country you’re occupying may not have these opportunities. Those are my concerns. But overall, I do think that worldschooling makes a point of the stagnant state of most western lives, where we are more worried about paying bills than living to make ourselves happy, and similarly our kids learn in classroom boxes or tv-screens instead of having genuine memories and experiences. Interesting Kaila, I can only really speak from personal experience, so here goes. Firstly, we rarely need to learn languages, almost everywhere we go, everyone speaks enough English for us to manage. There are exceptions, parts of Romania, Central America and China are the only countries where we’ve ever hit a language barrier. Some parents make a focus of language learning, we don’t. If they pick some up that’s fine, if they don’t, also fine. I quite like the fact that I can speak some Romanian but the kids really don’t care, so…meh. I don’t think learning languages will help them in the long-run much other than just being ” nice”. I come from a background, a school, where languages were a compulsory focus, it’s nice that I know a few languages, but it’s never been much use. It could be useful in future careers, but also, it could be pointless, we don’t know what direction our kids will choose, it’s up to them. Secondly, what you describe, long-term slow travel isn’t what we do. Some do, sure, but personally, I find it really boring and would rather be a regular backpacker, more travel, less of the mundane. We find that we now have many bases, good friends all over the world that we see regularly, so the roots and friendships you mention do exist. With regard to fitting into a particular country, well we don’t have one. The kids can choose the UK or Australia when they’re old enough to choose, if they want to choose, but for now, we’re not interested in living in Australia. The kids feel British and consider London their real home. Had we remained in Australia they may have become “stuck” there and probably followed the herd into local employment and never really doing much outside their comfort zone. It’s physically and financially hard to get out of our end of that country, very isolated up there. They are learning life and business skills. They’re learning how to make a living without being tied to a job, not just from me, from many people we are good friends with. It’s a very cool clique that we move in and we have some incredible people in our inner circle. I’m sitting in one of their houses right now. The people you mention who ” crave roots” yourself included, are maybe craving something they imagine others have. Maybe it doesn’t exist? In my experience few people stay where they were born. None of my old school friends now live in our home town, we all moved on. That’s modern life. Had I stayed in my home town I would probably have killed myself through boredom by now, as it is, life is way more fun and far more stimulating. Also, lots of people claim that kids need or crave consistency and routine, well I think that’s hogwash and an idea created by parents who enjoy routine in their lives so that child rearing is simplified. Routine helps when lives are lived to timetables and scedules, for us routine is redundant. I don’t buy into that school of thought at all. I have several friends with kids who have Aspergers and Autism, they demand routine and certainty, some kids do, mine don’t. They love the freedom of doing what they want, when they want. Routine actually kills me, I hate it, so my kids weren’t ever going to get it. They’re stuck with me, no choice there as no child gets to pick their parents. You talk about adapting to other cultures, fitting in and host families. None of those things ever happen so I really can’t comment. Living like a local is a total myth. We live as observers, as travellers, even in countries that we know inside out, we will never truly integrate, we will always be different. Truthfully, we wouldn’t want to, understanding comes through observation. Hope that answers some of your questions and thanks so much for commenting and raising them. Cheers! Ah isn’t it great we can all live our lives the way we desire? It is good to be skeptical, but try not to judge until you’ve tried it. Education is around all of us everyday no matter where we are in the world. It is our jobs as parents to ensure it is absorbed. We find it amazing how naturally curious the kids are and what they have learned from travel. They have life skills which would not likely have presented themselves, like adapting to change. I moved around quite a bit when I was growing up and had 5 siblings. Only 2 of us still crave that change and feel our “roots” are where ever we have planted our feet. Our kids have roots, basic routine, and tradition no matter where we live. It is our surroundings which change. I can’t imagine living in the same home, same place, same city for many many years. That is the beauty of our lives. We can do what suits us. I am a single mom of a 6 year old! How do i make money while abroad? ????? I want to learn how to be free and fearless like my daughter. Well Jody, have a look at our blogging section. There are many ways but it takes A LOT of hard work and commitment + time. Good luck. All the best to you Robin! Hi! I enjoyed this post. We are a military family so we world school. We have found co-ops helpful. We’ll move again in the summer and the kids will be going to a co-op/charter school 2 days a week and they’ll do homework with us the rest of the week. This will give them a little bit of structure and my oldest is getting to a level of math that is hard for me to teach. I’ll teach two classes at the co-op. Great post! I love knowing (and peeking in on) people who refuse to let themselves be boxed in by one way of learning. We’ve been unschooling for the past 3 years, and since we’re also location independent, worldschooling is a very natural part of our flow. Our daughters are learning so much about HOW they learn, and they get the time to immerse themselves in their interests, instead of dabbling here and there, and memorizing stuff along the way. I am particular happy to see how you share the ways that more traditional schooling models “sneak” in when you’re not traveling; same here. Our daughters are 10 and 8, and we do use some workbooks at times, but by and large, we flow through our days and our environments being as present and engaged as we can. When we do that, plenty of learning takes place. Happy to have come cross your blog! Thanks for sharing. I love your post and enjoy reading your blog. We are worldschooling our daughter since birth and want to continue that in the future. We are thinking about letting her attend Kindergarten in Germany, does that contradict the whole concept in your opinion? I think it might be possible to see it as part of a continous immersion in new cultures and lifestyles. Hi Jennay, I’m honoured that you thought to bring that question to me, so thanks. No, of course it’s not a contradiction, so long as it’s what she wants.Does she know her own mind? If she’s keen to go, there is no anxiety, no worry or tears, fine, she’s choosing her own path and that’s fine. But if it is in any way traumatic for her, even for a short while, I personally wouldn’t consider it at all. I feel kids are better off with the people who love them, there is no need to “toughen them up” or get them used to being away from their source of comfort and support in the name of socialisation. It’s too big a topic to cover here, sorry. I’m excited to read that you’re planning your next move – I can’t wait to see where you end up next! Good luck Sheralyn! Very soon you’ll be wondering why on earth you ever thought it was a good idea to send them to school, such a waste of childhood. Hi Alyson! Love your last post! So true and so enjoy schooling the kids out of the classroom! We touched base awhile back before our travels RTW from NS, Canada. We are now almost 6 months into our trip and have arrived in Japan and loving every minute! We are heading soon to Southeast Asia and looking forward to rereading some of your previous posts to get some good ideas on where to go. Our travel blog is away4now.com.